StepAheads’ Human Capital Communication Analytics (HCCA) Platform incorporates big data pools, unique algorithms, advanced academic research and a privacy sensitive sensor, which gives clear insights of how to reduce time waste and promote professional synergy. Identify email overload, usage trends and workflow bottlenecks through quantified data. At StepAhead we value the importance of resourceful communication. 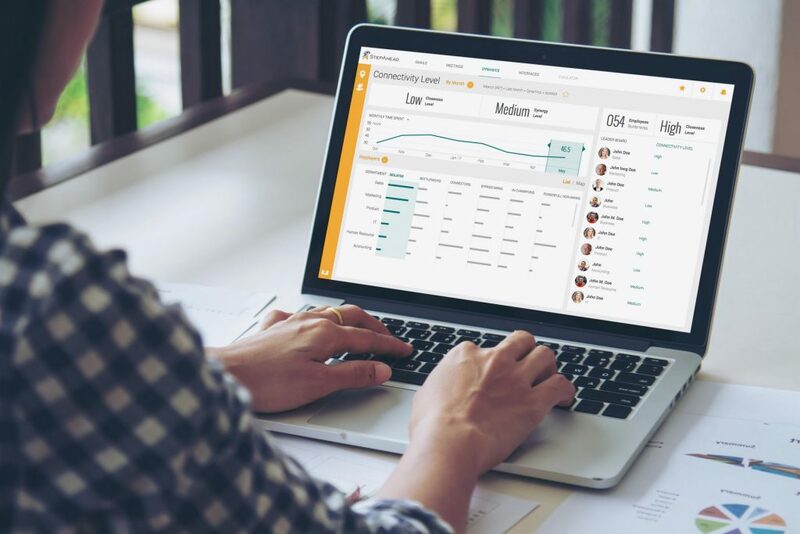 With our Communication Overload Analytics Tool, we identify wasteful communication habits allowing you to optimize the critical flow of information within your organization. recognize redundant meeting time and attendee overload to allow productive collaborative practices. Enable the StepAhead software to connect to any communication platform your business needs. Analyze communication dynamics across the organization via integration with various third party communication platforms. StepAheads’ software solutions are based on the integration with multiple communication platforms in order to aggregate and analyze real-time data. With strict regulations regarding employee privacy and security, StepAhead guarantees unmatched technological capabilities with uncompromising privacy and security policy. StepAhead software offers a fully customizable dashboard that delivers unmatched flexibility in every aspect. Filter and present the most critical data that requires your immediate attention and action. 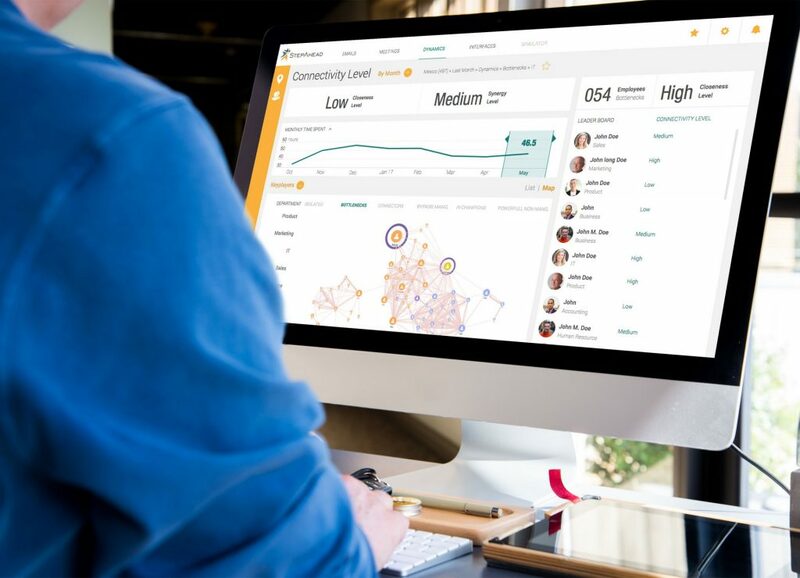 StepAhead implements one of the most advanced and innovative business approaches – People Analytics. Based on proven academic research of ONA (organizational network analytics) and vast field experience, we utilize email, CRM data and industry benchmarks to analyze collaboration dynamics and patterns. At StepAhead we believe in the power of a network. We map relationships between employees, teams and department to provide simpler and easier lines for direct communication. StepAhead’s HCCA platform offers a 360 view to organizational collaboration and communication patterns. Whether intradepartmental or inner-departmental dynamics, the HCCA platform maps professional relationships and connections, highlighting Connector, Leader and Talent employee’s.